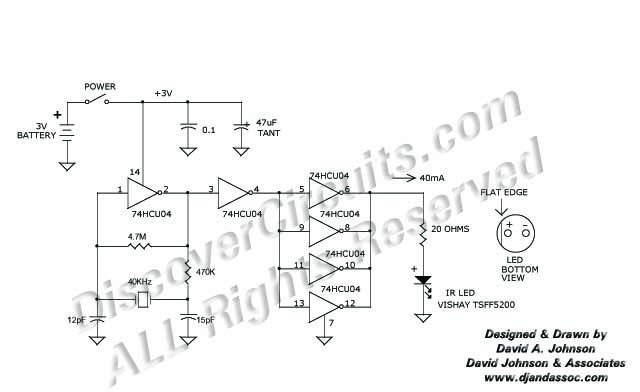 Circuit: 40KHZ LED TEST SIGNAL GENERATOR __ Circuit designed by David A. Johnson, P.E. This 40KHz crystal controlled oscillator circuit drives an infrared LED with powerful 40ma pulses. The circuit can be used to test optical communications circuits, designed to receive 40KHz modulated light signals.